You may have to face various skin related problems because of dry skin. That is the reason why it is very important to take proper care of it. Use of protective lotions and moisturizers on a regular basis is necessary to keep your skin healthy. The problem here is that many skin care products that are available in the market carry certain side effects. They often cure the problem temporarily but open the doors for new skin related issues in the long run. In addition to that, most of them are also very expensive. Fortunately, there are several home remedies for dry skin that are not only highly effective, but are also safe and cheap. You can find most of the remedies right in your kitchen or refrigerator. Though rubbing vegetable oil on your skin and leaving it there for sometime may not make you feel very good, it can be very beneficial for your skin. In fact, when it comes to getting relief from dry skin, even peanut and sunflower oil can also bring similar results. Massage your wet skin with a handful of salt just after you have finished bath. This remedy can be very effective in achieving smooth, soft skin. It also relieves your skin from itchiness. Vitamin E plays a crucial role in achieving healthy skin and oatmeal is a great source for this nutrient. You can soothe your skin quite effectively by adding oatmeal into your bath. This remedy, however, is particularly more beneficial in treating dry, chapped hands. You can use it in an array of ways. For example, rub dry oatmeal directly on your hands. If your hands are wet, dry them first using a towel. Alternatively, you can also use oatmeal as a replacement of soap for your chapped hands. The use of cornstarch can be very beneficial for dry, itchy skin. This home remedy is very simple. You just have to soak in a bathtub, where a handful of cornstarch is mixed thoroughly in water. Baking soda carries tremendous natural ability to treat dry skin and other skin related issues. A simple way to use this home remedy is to soak in a tub of warm water after mixing one cup of baking soda into it. After half an hour, get out of the tub and allow your skin to air dry. Alternatively, you can also consider taking a sponge bath. For this, you should take one quart water and mix 4 tbsp. of baking soda into it. You are also advised to use baking soda as a skin-friendly alternative for abrasive dishwasher cleanser. Vinegar has been used as a home remedy for dry skin, especially for chapped hands, since ancient times. As per this remedy, you should wash your hands thoroughly and dry them using a towel. Apply vinegar on your dry hands and then leave it overnight. For faster and more effective results, you can also consider wearing a pair of soft gloves after applying vinegar on hands. Instead of using oatmeal and baking soda individually, you can also try making a paste by mixing them together with vanilla extract. Mix this paste in a tub filled with warm water. Soak in this tub for thirty to sixty minutes. You can soak in it for a longer period also if you like. This home remedy for dry skin is very popular and most people who have used it have reported encouraging results. Making a paste out of avocados and applying it on your entire body can also prove to be very beneficial in treating dry and itchy skin. This remedy also nourishes your skin and gives it a smooth and fresh look. Massaging your skin with avocado or coconut oil also carries similar benefits. Just after taking shower and drying your skin with a towel, you can rub sesame oil all over your body to get rid of dry skin. Sesame oil is a far better, cheaper and safer alternative as compared to all those expensive moisturizing creams that are available in the market. Queens and princesses used to bath in a tub filled with milk. Milk carries tremendous natural ingredients to make your skin healthy and soft. If you cannot bath in a tub full of milk, consider adding a couple of cups of milk in a tub of warm water. Soak in it for as long as you want. You will be surprised to see the wonderful result. Honey is probably the best natural moisturizer. You can consider applying honey all over your body just before you are going to take bath. Leave it for ten to fifteen minutes and then take your bath. This is one of the most powerful home remedies for dry skin. Though drinking 8-10 glasses of water is often recommended, you are advised to drink much more than that for faster and more effective relief from dry skin. 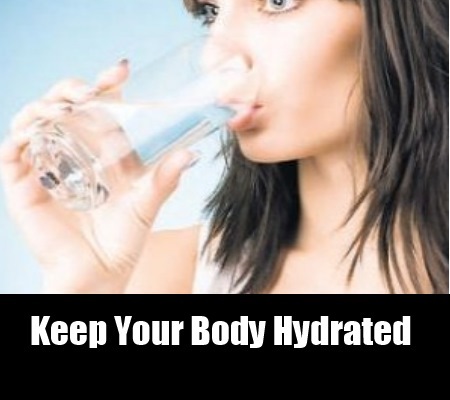 The idea is to keep your skin and body properly hydrated. You can make a special paste using a mixture of egg yolk, lime juice, rose water, orange juice and olive oil. Applying this paste on your face can bring you instant relief from dry itchy skin. This home remedy for dry skin is specially suited to those who feel itchiness and excessive dryness on their face every time they wash it. Take one teaspoon of orange juice, one tea spoon of olive oil and a few drops of lime juice and rose water. Mix an egg yolk in this mixture to prepare the paste. Ripe bananas can also be used to treat dry skin quite effectively. You can apply a mashed banana on your face and neck just like you apply a face pack. Wash off with warm water after ten to fifteen minutes. Besides using the above remedies for dry skin, you must also make sure that you are getting adequate amount of sleep. Lack of sleep can worsen the condition of your dry skin.